WELCOME TO THE HOTTEST SWING NIGHTS IN DENVER. Click the pic for the list of everything Swing Nights is doing in April! Join us for Jeremy Mohney at the Lindy Jam on April 18th. Singles, couples, and groups are all welcome! Thursday April 4th begins our next progressive Lindy Hop series. Join in all the fun by learning this classic dance! The 2nd Annual Big Bash Lindy Intensive featuring Erin Morris & Ryan Calloway! Coming April 19-21st, 2019, at the Mercury Cafe in Denver, CO: an Intensive experience for 25 total couples with one highly talented set of instructors, Erin Morris & Ryan Calloway! The weekend will feature 8 hours of classes, social dancing to live music, and several competitions. 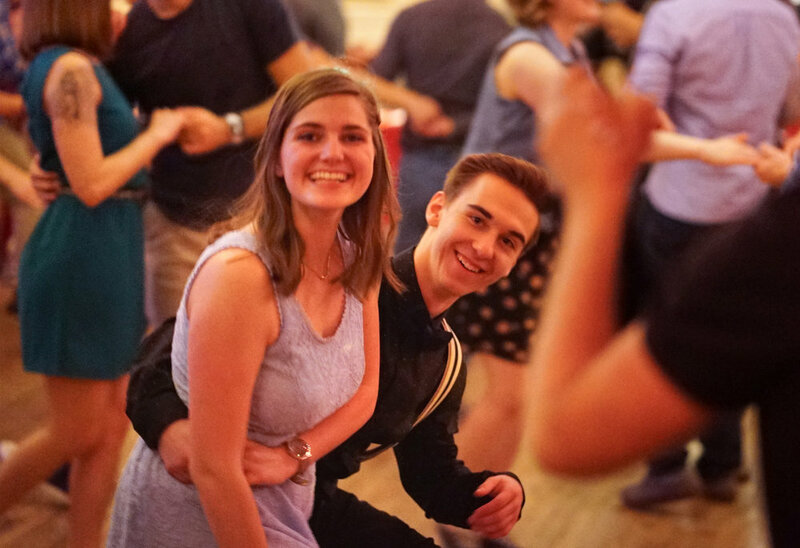 While the Big Bash Dance is for everyone, the Intensive is restricted to Intermediate+ and Advanced dancers only, so click through to see if you’re a qualifying dancer and SIGN UP TODAY for the lowest price tier!